MASS DIE-OFFS CONNECTED TO SOUNDS? Potential trade war with China, radiation leak in Japan, Russian hit list, psychometry, and a future life bleeding into this one are just a few of the topics we’ll cover today. Enjoy! ATLANTIS & LEMURIA: Christine wrote: "Interesting read. Will not truly know the outcome till of course it is my time to leave this planet. 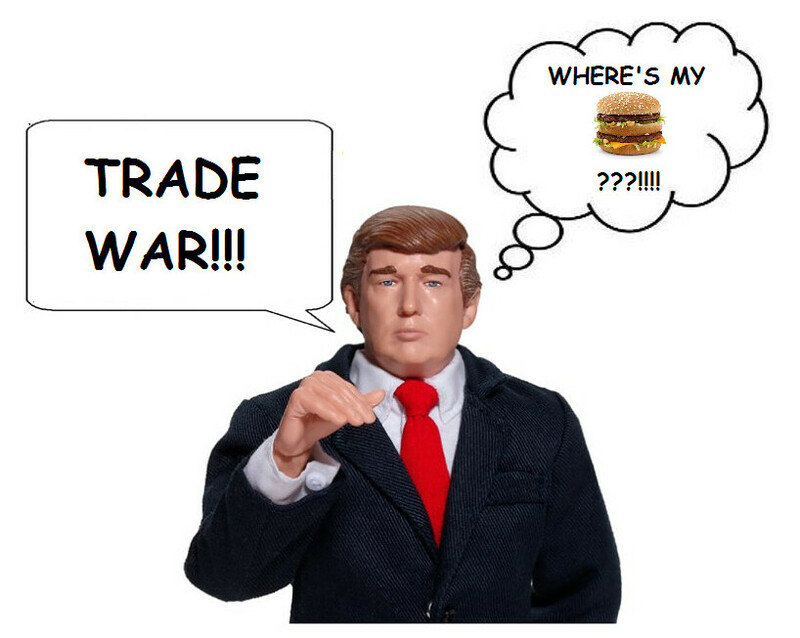 :-)"
Gaia, what is the highest probability for the results of the trade war with China? Yes, sometimes your president, Mr. Trump, likes to deal in brinkmanship. This is one tough negotiation with China, however, and they will not look to lose face. Each side will make some gains is the highest probability as each side does not wish, nor desire, a full out trade war. Your President Trump will make some small gains that he can claim, while the Chinese will be pleased that they also gained in the negotiations. That is the highest probability at this time. Gaia, you had said in the past that radiation leaks from Fukushima would be absorbed, but experts say it is getting worse. Comments? It is still the same, Tom. The amount of radiation leaking from Fukushima has not increased. I am absorbing and making sure it does not travel too far, you see. I have allowed for this probability long ago, and have ways to absorb this until humans find a way to dilute radiation, which you will in the future. So, my advice is don’t panic, and yes, your bodies have the capability to absorb some radiation yourselves—small amounts, mind you. However, those people that live in Japan should be extra cautious as they are close to the leak. For those of you not familiar with the term, psychometry is the ability to discover facts about an event or person by touching inanimate objects associated with them. Gaia, is psychometry another form of telepathy, or does it work differently? You can say it is a form of telepathy, but relies on other initial receptors that still feed in through the pineal gland. Your scientists are just discovering the organ in the body just below the layers of skin. Amazing, isn’t it, that given as many dissections of the human body have been done that this was not discovered before. And yes, there are many more discoveries ahead for those in science as we would not want them to be bored, now would we? So, back to psychometry. The information is conveyed from the fingertips up to the pineal gland where the images are then seen by the person adept in this procedure or work. It is but another ability that can be increased, again, with a lot of practice. It is something that can be taught, or through practice with certain objects of, say, different ages. It takes concentration and practice. I recently saw a story on NBC about a “hit list” of ex-Russian agents, plus a few others. On the list was Christopher Steele, who did an intelligence report about President Trump that was made public last year, and I previously reported on. Here is the NBC story. Click here. Gaia, what is the probability of Christopher Steele living until old age, as it was reported that he is on the Russian hit list? Mr. Steele is relatively safe for at least the next few years. The Russians were quite surprised at not only the reaction of the British, but all the other nations, which has greatly reduced their ability to spy on other countries. It will take time to rebuild these networks, as those caught in their web will be highly reluctant to work with the Russian spies’ replacements. Attempts to do so will result in more leaks being identified. You might say that the word gets around that it is not safe. Some of the spies were so good that they were not recognized as Russian, or if they were they claimed they had some minor job. Suddenly they are sent packing. So again, Mr. Steele, because of the publicity, will remain safe. The last thing Putin wishes right now will be for his embassies to be further stripped. Back in 2008, Theo introduced me to another member of my soul group or “cluster” as he calls them. I quickly learned that after 800 lives on Earth, mostly as an explorer, he was taking all that knowledge he gleaned from those lives and has put it to good use as part of a “first contact team” that goes out across the universe to study and then introduce themselves to societies that may be several thousand years from space travel. He tells me his specialty is “grass roots contacts,” while others specialize in government relations and scientists. Antura is an amphibian. You can read much more about him, his planet, our Universe, the original star wars that actually took place far in the past in my book FIRST CONTACT: Conversations with an ET. Here are more questions I asked in the last week. Antura, recently you said that the Reptilians did not have the same principles as you did—meaning I assume what became the Federation of Planets. But can you make a general statement like that when you have so many different types of beings represented in the 200 plus planets? Yes I can, Tom. Keep in mind that some of these societies are well over a billion years old. You might say we all develop manners in how to deal with other societies that we trade with and work with over thousands and thousands of years. You could equate the Reptilian persona to the biggest kid on the block on Earth, where he would just take what he wanted, and if you objected he would smash you in the face. That was the personality, in general, of the Reptilians. They had all grown up that way. You might say they were and are hard wired. That was why it was so difficult dealing with them. And yes, that is another reason for including them in the Earth Experiment, so that raising their vibrational level will cause them to be more humane and gentle in the future, as they encounter the negative energies the Explorer Race will send their way. Everyone recognizes that anyone who can work with negative energy is head and shoulders above everyone else in this area. Since the Reptilians can no longer obtain whatever they were obtaining from the Federation planets, have they gone conquering elsewhere, or do they now barter with you? Some bartering, more for appearance sake, you could say, Tom. They have gone off to other galaxies to obtain what they need. We have encountered them in our travels. They are mostly cordial in a diplomatic way. So they have not bothered the other Federations in this galaxy? No, that was part of the peace agreement. Marilyn writes: My question is further to Linda's from New York regarding the ET ship that looks like a star. I've been watching a few stars in the sky for a couple of weeks and one night there were four of them. They are very bright and appear closer than a star and are fairly stationary. They move a bit across the sky but stay in the same general area. The really strange thing about them is that they have flashing red and blue lights. The first night that I saw it (there is one that I can see easily from my deck) I thought that it was a helicopter coming over the hills, but then realized that it wasn't moving and I could see the flashing lights. It slowly moved higher in the sky and then I needed the binoculars to see the colors. I live near Kamloops, British Columbia and one is in the eastern sky and there is one in the southwestern sky. Would you ask your guides if these are ET ships and if not what are they? Antura, are the lights Marilyn sees from Kamloops, BC, ET ships? If so, what purpose? Yes, again, Tom, these ships are simply taking readings as discretely as possible. With all these negative energies to study, there is constant work going on to take these readings, and places that are a little more off the beaten track—smaller towns and cities are sometimes easier to study than a large city. 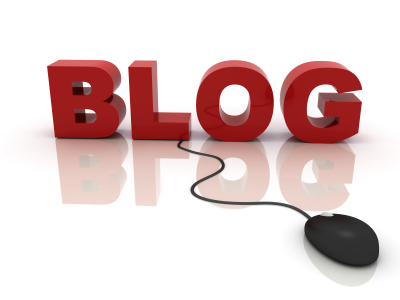 Peter in Canada writes: Here’s an interesting link that talks about some news we have in Canada. Could it be a soft disclosure from the Canadian Government? Will it slowly prepare Canadians to baby feed to open their minds when it will happen? Click here. Thank you for your wonderful mission with your newsletters and books to help people open up to spiritual wisdom. Antura, would the release of a silver collector’s coin in Canada be considered a soft disclosure? No, Tom, the mint people knew that an unusual coin like the one they chose to mint would be highly collectable with numismatists, and would be a success. This is considered an old proven story in Canadian eyes—much more accepting than, say, the story of Barney and Betty Hill in the United States. Is it possible for habitable planets to circle a neutron star? No, as keep in mind that this was the collapse of a star, and when that happened, all the planets were destroyed that orbited the star at that time. There are also other reasons such as radiation of different types. Your scientists will take quite some time to arrive at the point where their instruments will be sophisticated enough to be able to learn more about these stars and many other types. Antura, are the Nibiruans humanoid? Yes, but they do not look like Homo-sapiens. They do have the ability to alter their appearance enough to be seen by humans thousands of years ago to mostly appear human. They did not wish to completely appear so, in order to frighten the people they enslaved. Again, they are humanoid, which you will come to see covers a wide range of appearances, Tom. Some people still have a subconscious fear, and there were some people who survived by doing their bidding, so they have a subconscious desire to do so even today. It was a survival mechanism—I’ll do what these people say as I don’t wish to wind up like these other people. Again, may we remind you they are forbidden from setting foot on Earth under the directive of the Federation. And for your new readers, they are on probation. This probation will last hundreds of more Earth years before it will be lifted. It will only be lifted when you reach a point in your development when you are more on par with them. Fortune writes: Mt. Inyangani [now, “Mt. Nyangani”] in Zimbabwe was remote viewed as an Alien base in the 80s by some remote viewers working for the US government. Several people have disappeared while hiking on this mountain and never seen again. There was one group of hikers that was found after the locals had performed a ritual. They were found disoriented and they claimed to have heard people talking, but they could not see or understand them. Some people claim to have seen lights at night above this mountain. 1. Which Aliens have a base under this mountain? 2. How old is this base? 3. What happens to the people who disappear? 4. Are these Aliens friendly at all to humans? 5. Is there a portal above this mountain? Antura, is there an ET base under Mt. Inyangani in Zimbabwe? If so who? Yes, there has been a base there. Nowadays, it is in little use as it is too noticeable. It was used by a Federation member, although not one of the big four, we will say. Have people disappeared from there and if so why? This has not occurred recently, Tom. Reports of disappearances were mostly the result of hikers getting lost, just as they do in today’s time period. Yes. They were there to take readings. Is there a portal above the mountain? Yes, close by, you can say. The portal connects to the part of the galaxy that these ETs originate from. Again, the base can no longer be used to the extent it was in the past due to the modern times and numbers of humans in the area, plus their knowledge. It is one thing to study simple villagers as was done in the past. It is another to do the same in the modern era. Colleen writes from Billingham, WA: I have had many MBO experiences, but none quite as significant. This one is credible evidence that MBOs work!!! So, I have recently reconnected with a childhood friend, who lives in Washington State. While I was staying at her place for an evening, she pulled out all of our high school yearbooks. As we walked down memory lane, I mentioned a friend of mine, Sharlene. I saw Sharlene's photo in one of the yearbooks, and I told my friend that I wondered why I had lost contact with Sharlene. I remember calling her a few years back, to tell her about a mutual friend who passed away. I never heard from Sharlene after that. For some reason, I thought I might have done something to offend her. A few weeks later, I was on my way to Kalispell, Montana, to get items from storage. I stopped in North Bend, Washington, to get gas and food. Usually, I get a beef taco at Taco Time, but I have stopped eating meat. 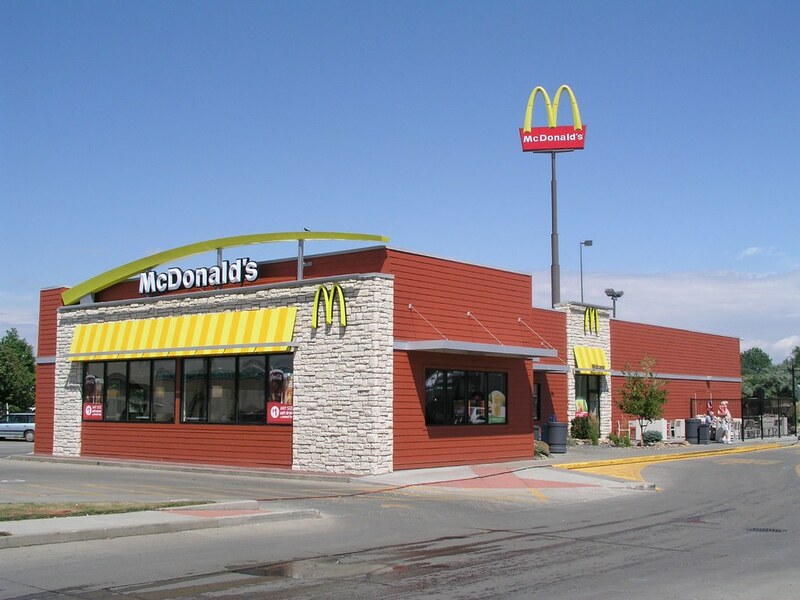 So, I don't frequent McDonald's much, but I stopped there and ordered French fries, a side of tartar, and a soda. When my number was called, the lady behind the counter politely told me that my tartar sauce was on top. I said thank you, took the bag, and started to walk off. The lady behind the counter said my name! “Colleen, it's Sharlene! !” It was my friend that I had been wondering and thinking about from high school! She has been working at McDonald's since high school and is in management. She has worked at many different locations throughout the years. Barbara writes: Today, I was going to the UPS store for the second day in a row. As I leave my house, I request an MBO for the perfect parking space near the store, so I don't have to lug packages far. Yesterday, the space was directly in front, however, the meter would not take my credit card! I went in and got some change, no problem. So today, as I left the house, I requested an MBO for a perfect parking place near the store, with time on the meter!! Thanks again, Tom, for all that you do! I really wish I knew what I did in Atlantis or Lemuria...Maybe someday I will know! Lee writes: Adding another one to my growing list! I ordered a piece of furniture online from a reputable business with a delivery time of 4-6 days. Well, the delivery notice came back with a projected delivery date of the one day neither myself nor my husband would be home. I didn’t want to have this package sitting outside until after dark so I said an MBO for the package to be delivered the day before when we both would be available. Today, I got my notice that my shipment will arrive one day early just as I asked. Tom, I cannot express how much easier MBOs have made my life! Gaia, I’ve been asked if the mass die-offs of birds, animals and fish have anything to do with the sounds coming from the interior of the Earth. Not really, Tom, but a good guess from your reader. We have discussed before that as magnetic north slowly moves, it can upset the equilibrium of certain fish. It can be the same for birds, and the die-off of certain animals is because their habitats are shrinking, such as the polar bear, which I have said will return someday in the far future. These events are actually planned by their group souls and are teaching devices for the Explorer Race. Your scientists are to study and learn and figure out why this occurs. So, there is only a slight indirect connection between the sounds and these die-offs. Marion writes: Just wondering if you could ask Mother Gaia what is going to happen with these two provinces. I live in Alberta and I'm in agreement with B.C. not to let this pipeline go through to save this beautiful province, water, people, and wildlife. Will the pipeline end up going through? No one likes change and it will take time to go green, or will we in my lifetime? Also, will Rachel Notley and Prime Minster Trudeau get voted in again? I'm sure hoping not. Everything is going south, as we say. Thank you, Tom, Thank you, Mother Gaia. Thanks, Tom, for your newsletters and books. I say MBOs every day and MBOs for others. Love it. Gaia, what is the probability of the Trans Mountain pipeline going into British Columbia? Regretfully, quite high, Tom, for those who would prefer it to not go into that region. It will be subject to earthquakes and cannot stand the large movements that will happen in the future. But its use will diminish as the free energy machines start being built in a few years. Your reliance on oil for fuel will significantly drop then. What is the popularity of Justin Trudeau being reelected Prime Minister? Again, quite high. He is quite popular in different parts of Canada and this will keep him as head of his government. And what is the probability of Rachel Notley repeating? A much closer race percentage-wise, but the probability is that she will be reelected. May I remind you these are soul contracts, and unless something drastic changes, as it did when your souls decided there would be much greater growth with the election of Mr. Trump, normal probabilities—the highest—will be the outcome. Pierre in Peru writes: You probably have heard about Ayahuasca and how this Amazonian plant medicine is being used all over the US and, indeed, throughout the world now. I wonder if you had ever made inquiries to your spirit guide about this subject. I'd like to know spirit's perspective about the use of Ayahuasca. I have been learning about it myself while living down in Peru and find it to be a benevolent spirit that enjoys working with people. I just wouldn't mind checking in with others who are connected with their own guides as you are to get their opinions about it. Gaia, what are the benefits and problems with using Ayahuasca? As you read, Tom, this is a hallucinogen and is used in ceremonies by those who desire their minds to expand. Everyone makes their own decisions as to whether to use or not use any particular product, drug, and so on. The same advice we have given you before is given here. You are not to recommend anything that would fall even slightly in the medical field. Everyone must make their own choices. Do they have a good feeling about the use of any drug, or do they experience “heartburn”—that gut feeling—that it does not feel right? Graham writes: A couple of months ago I emailed you about nostalgia. You may remember, if not, see the correspondence below. You said that I should email you back if I couldn't latch on to a past life that I was trying to locate myself. If you remember (or see correspondence below), I was channeling a lot of nostalgia from the 1980s. Yet I never lived through that time period. So, could you ask one of your guides if I'm having an overlapping life and if I'm somebody else living now, and also did I live through the 1980s or why I'm able to pick up nostalgia about the 1980s? Theo, did or does Graham have a life in the 1980s? He will in the future, and because these lives bleed over he picks up on this time period. So, it is not a past life? No, future. Keep in mind that you have noticed that you had a number of lives going on at the same time back two thousand years ago. If a soul needs learning your lives can overlap. Just a thought. You may wish to learn as much as possible about this 80's time period, so that you will be successful in that upcoming life. George writes: Everybody loved Mister Rogers. 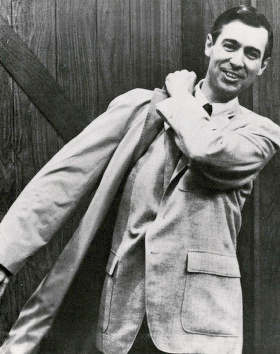 What was Mister Rogers' soul interest? Click here. Theo, what is Mister Rogers’ soul interest? Yes, Tom. He was a master educator in this life, which was a significant one for him. His soul interest is science and his soul desired to teach children at an early age about all forms of science on a level they could understand. What will his next life be? More of the same. He greatly enjoyed teaching science. It will not be publicly as he did this time, but he will explore teaching science at another level. Ritu writes: My question is about the death of a renowned Bollywood actress Sridevi. Last month she was found dead in the bathroom of a hotel in Dubai she was staying at to attend a wedding. The postmortem report claimed "accidental drowning in bathtub" but before that it was stated that the cause of her death was due to "cardiac arrest." 1. Was her death accidental or was it a murder? If the first, then why did her soul choose such a death that shocked her family and loved ones and at a time when she was away from her children and family? 2. Is what the report stated as the cause of her death true? Theo was the actress Sridevi’s death accidental or murder? There will be an investigation—in fact, there is an ongoing one at present. We will say she was assisted in ending her life. In what manner it will take quite some time to determine. Arthur C. Clarke was a famous science and science fiction writer, best known for his 2001 SPACE ODYSSEY. He was known as the “Prophet of the Space Age.” Click here. 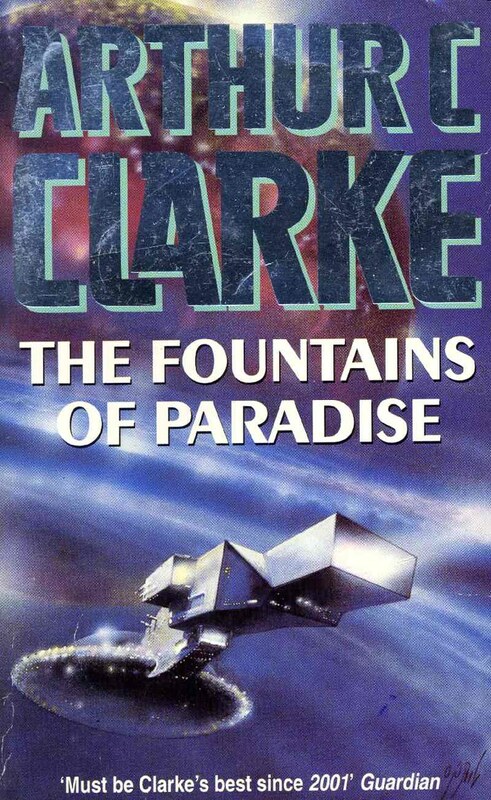 Gaia, did Arthur C. Clarke have a life in the future? Unquestionably, Tom. As was pointed out in the news story about the 40th Anniversary of the 2001 Space Odyssey movie, he had a life where all the developments he portrayed in his book had occurred. Then the rest was fiction. Was his life in the future much farther along than we are now? Yes, a little farther along than you are now, as he alludes to artificial intelligence and space travel. As we have stated before, most science fiction writers have had lives in the future, so that they can work with their guides to create stories with advances in science and so on that will occur in the upcoming centuries. Charlie writes: More questions on your life at the Taj Mahal. 1. When you (Tom Moore) were a Shiva priest at the Taj Mahal, where did you live? 2. Was your (Tom Moore) life as a Shiva Priest during the time when Shah Jahan took over the Taj Mahal/Shiva temple? 3. Is there anything in the basement that you (Tom Moore) contributed to when you were a Shiva Priest? Theo, as a priest at the Taj Mahal, where did I live? In the nearby village, Tom. No, but close by. You wanted to be with the people. Was I there when the Shah Jahan took over? Yes, Tom. You had to flee. Did I have more than one life there? Yes, at the beginning and then at the end of its original purpose. Did I contribute anything that is in the basement?